Joyfully Therapeutic Play with Handcrafted Props. Interactive entertainment for festivals, parties and other events. A uniquely fun and interactive activity for parties, festivals and other events where participants can toss, juggle, spin, watch and fly handmade hula hoops (adult and child sized), juggling sticks, scarves, big bubbles, spinning plates and paper kites. Sue and Debbie, "The Twirling Granny Sisters", will help you get started. The environment joyfully energizes focus in a way that encourages full involvement. The activities are challenging, but achievable for everyone. Gathered wherever there is space for movement, at festivals, parties and other events, we learn to cooperate with the principle of rotational force and 'ease into' the successful twirl. Sue Bertomeu Albert (aka Granny Sue) has presented choice-based learning and therapeutic play environments at countless school and community events since she began The Learning Arcade more than 20 years ago. She has devoted over 25 years working as a Bibliographic Specialist at Princeton University Library and to researching a 'life long learning' project that tests a theory of behavior transformation through play. Louie still serves as a therapy dog with visits to a local nursing home, but he retired from The Twirling Arcade in 2017 at age 11. 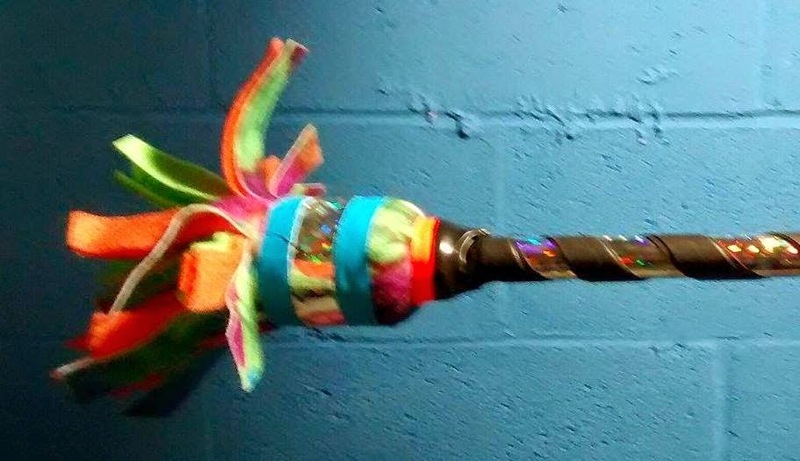 Debbie Bertomeu (aka Aunt Debbie) is a talented artist/crafter who has benefitted physically and psychologically by learning and crafting most of the props offered by The Twirling Arcade. She actually lost more than 40 pounds since she learned to hula hoop in 2013. Debbie has always been Sue's biggest inspiration to experiment with activities that transform behavior through 'empowering' play. The idea for The Twirling Arcade was first inspired by teachers at the elementary school that Sue and Debbie attended. When she was in first grade, the teachers asked Sue for help to understand how to reach Debbie as a learner. At the time, she was too young to know how to help, but the challenge motivated a life-long passion to create fun learning environments that engage creative, energetic children like Debbie once was, with challenging play and educational activities. 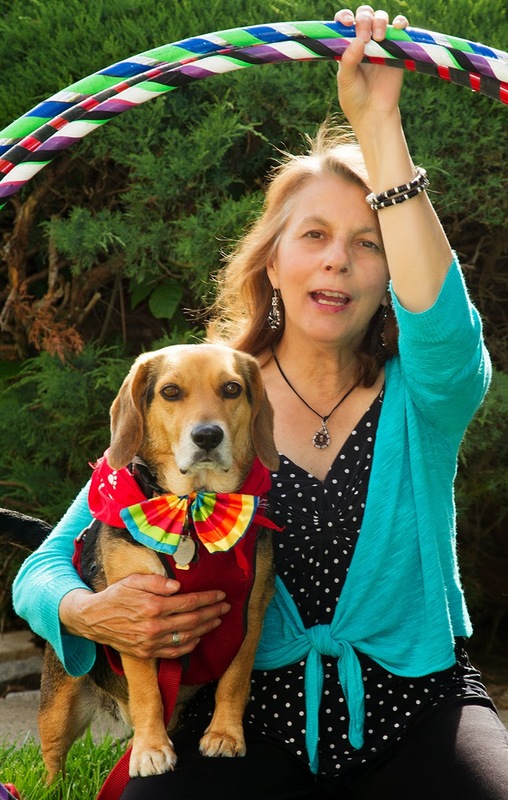 From 2012 - 2016, our therapy beagle, Louie the Clown Healer Dog, entertained with tricks and his friendly personality, but he retired in 2017 at age 11. The choices we offer based, in part, on a theory of 'redirecting behavior through empowering play' (we are still in touch with the author of this interesting theory Sue learned about in 1995) that help bring people of all ages and most abilities together through movement, music, crafts and tricks. Most of the Twirling Arcade activities evolved from what was most popular at The Learning Arcade program, which Sue began in in 1995, when information technology was just emerging as a new skill to be mastered. Motivated by observation of her stepson (who went on to become a psychiatrist) and his friends solving problems and beating levels, collaboratively, while playing video games as teens; her program began as a collection of creative, cooperative and technology-assisted play/learning activities designed to promote peaceful interactions through empowering play. The Twirling Granny Sisters offer a Twirling Arcade of engaging movement and therapeutic play activities using handmade hula hoops, twirling sticks, scarves, bubbles, spinning plates and paper kites to joyfully toss, juggle, dance with, watch and fly. We offer basic instructions and information resources for using hula hoops and twirling sticks along with lots of encouragement and cheering on. We also have hand made props available for anyone to purchase. We are covered by liability insurance through the World Clown Association and are happy to offer free movement activities at festivals and other events as 'valued vendors' that can sell the things we make in exchange for free space. 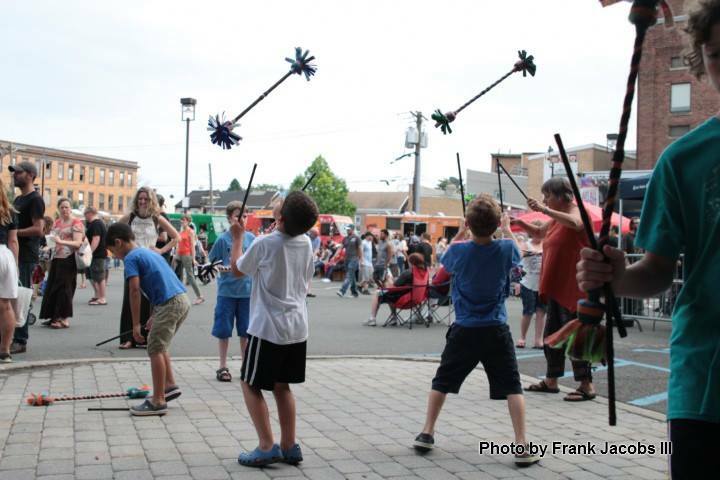 Contact Sue at 609-577-7053 to hire The Twirling Arcade for a fun and affordable entertainment option at parties and events. 2013 The Twirling Arcade. Simple theme. Powered by Blogger.